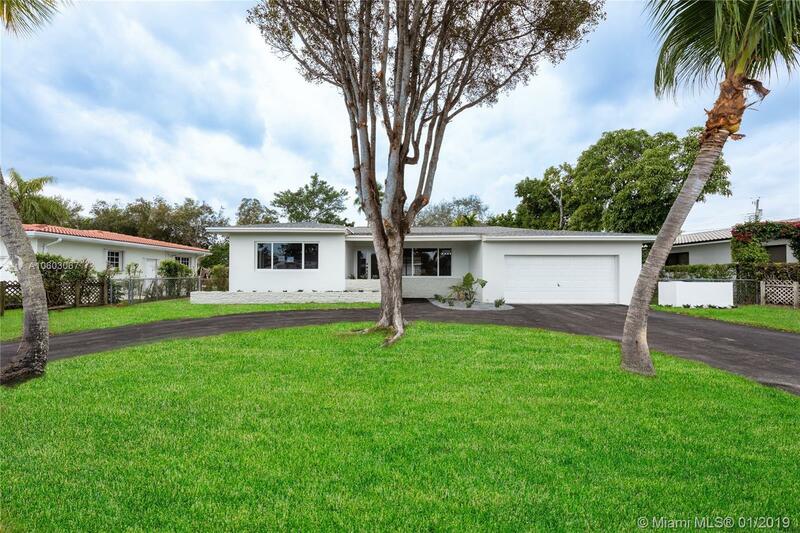 Completely remodeled with quality finishes in South Miami! This home has a new custom kitchen with Samsung appliances, quartz countertops with book-matched waterfall and subway tile backsplash. New impact windows by Lawson, new shingle roof, 2-car garage, new landscaping, quartz countertops in bathrooms and so much more! Nice open layout with all new electrical high-hats and a lot of light. This is a true turn-key home ready to move in.